It’s mid-summer and the like the blazing sun, the maxi dress trend is hotter than ever. These ankle-grazing frocks are in every store window, on the beaches, and at the benefit parties out on the east end. Months ago, when it was predicted that the maxi-dress was back in a big way there were many naysayers. The maxi-haters theorized that floor-length dresses were too over the top to make it as a summer staple. F-A-I-L! 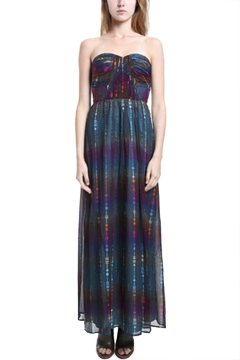 Before long, maxi-dresses ranging in styles from sheer and crochet, to printed maxi-dresses were the hit of the Fall 2011 runways. The maxi-dress is feminine and flattering. They are being spotted all over the city streets and on celebrities alike. Celebs like Nicole Richie, Jennifer Aniston, Jessica Simpson, and Keira Knightly are stepping out in these unabashed fashion statements. Not only for models and celebs, or for those with Herculean courage, the maxi-trend dresses, popularized in the 70’s are back and here to stay (at least for now). 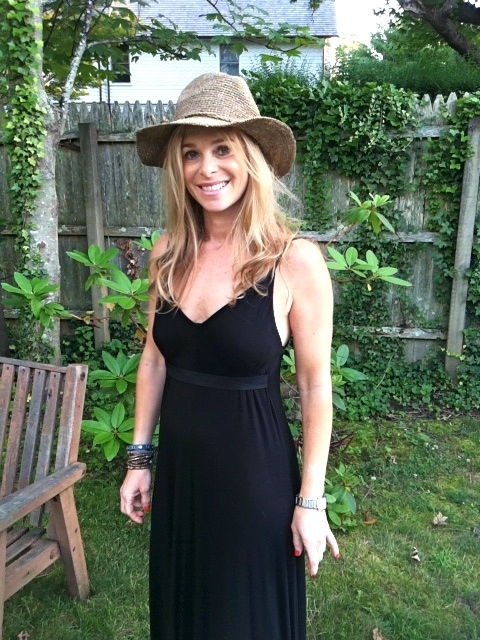 One of my favorite pastimes is and has always been shopping and I especially love it out on the East End of Long Island because of the many local shops that carry unique and carefully edited selections of clothes and accessories. 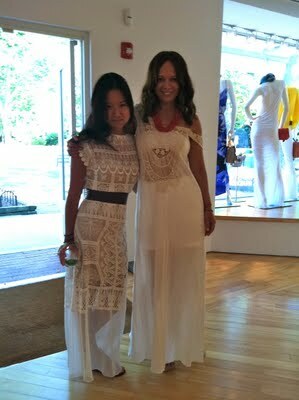 Last weekend I had the opportunity to chat with Jeffrey Goldstein, from Blue and Cream, one of my favorite Hamptons haunts, about the sizzling maxi dress trend. According to Jeff, during the July 4th weekend, all of his clients came in looking for the maxi-dress: a casual look for day and sophisticated styles for the evening. Spotted at his store? Real Housewives stars Kelly Bensimon and Jill Zarin hunting for maxi-dresses for themselves and their daughters. Other stores out east showcasing this trend were the Miguelina trunk show at Intermix, Calypso in Sag Harbor, and life’style, a freshly edited store in Sag Harbor. 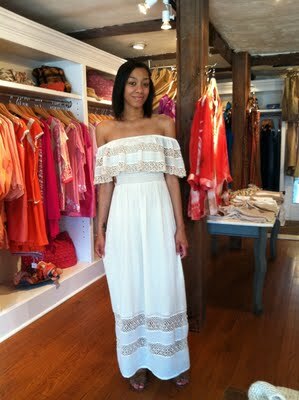 For a trendy bohemian look, you wear them with flip flops, gladiator sandals, or wedges, and chunky accessories. For a glamorous look, you can style them with high platforms and a clutch. And they can be rock-n-roll too with a motorcycle jacket and biker boots.